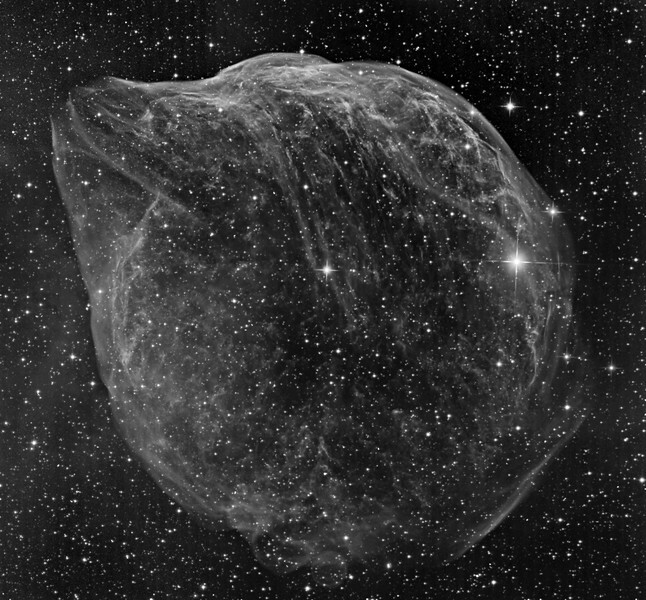 The Gourd, a Wolf-Rayet nebula produced by the bright central star. Four panel mosaic (50% reduced). Total exposure 20 hrs. 3nM OIII filter. The resemblance to an ice sculpture of a bottle-nosed dolphin broaching the water is strong. The arc of faint diffuse nebulosity at the lower half of the left border seems to be a separate structure, as in wider views it is very extensive and strong in H-alpha.